Bespoke Medical Innovations Pty Ltd is an Australian based medical innovation company specialising in bespoke or custom solutions within the medical field. 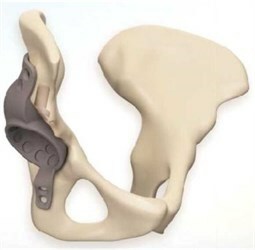 We use state of the art technologies that include 3D imaging, 3D printing, simulation technology, anatomical scanning, cloud computing, and custom-moulding techniques. Bespoke Medical has two primary business units; Orthopaedics, such as custom replacement knee joints, and Sleep Apnea solutions, such as our patent pending photogrammetry Nose Studio facial scanners and patent pending custom sleep apnea interfaces. The modern techniques coupled with numerous long-standing relationships with leading physicians, orthopaedic surgeons, general practitioners, design engineers and commercially experienced inventors provide the platform for Bespoke Medical to operate in this dynamic and fast-paced entrepreneurial environment that has the ability to change people’s lives for the better. Our core objective is the provision of quality products that are individually tailored to the patient and customer – providing improved outcomes compared with traditional compromised technologies. Our initial focus started with customised orthopaedic implants. By partnering with a high-quality local custom implant companies, and many of Australia’s leading orthopaedic surgeons, it enables Bespoke Medical to create and provide patients with exceptionally high-quality implants to suit their individual needs. Shortly after establishing the orthopaedic business unit, ApneaSeal(TM), a brand of Bespoke Medical was established to capitalise on the Sleep Apnea mask market which has predominantly evolved to a one-size-fits-most business model. ApneaSeal has recently developed and commercialised the first touchless (and eye-safe) facial scanner, and a new custom obstructive sleep apnea mask adaptor utilising human factors experts, intelligent computer-aided design, and high-tech 3D printing. More information can be sought at our ApneaSeal brand website (www.apneaseal.com.au).